* approx. ARC Permit: 18/068. Race conducted under ARC Rules. The Rodway Easy Runner 10k was created by Gordon Robbins in 2012 on behalf of Avon Athletics Association. In 2014, the race was handed to Emersons Green Running Club and we have looked after it ever since. 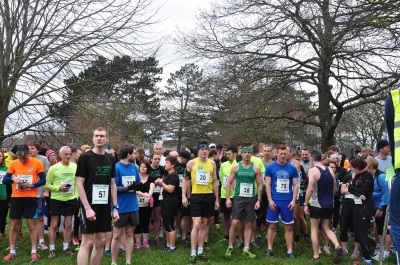 Emersons Green Running Club's Ashley Wright holds the reigns as Race Organiser and Gordon Robbins remains heavily involved. 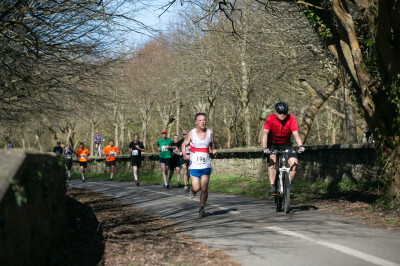 Competively priced, traffic free, well-marshalled, fun, interesting, friendly, picturesque, rewarding (the satisfaction of completion as well as the goody bag) in fact everything you could want in a local club race. Yes. If you are regular racer, our race will be a good challenge for you. Forget PBs, the terrain doesn't lend itself to a fast 10k time but we are sure that you'll enjoy the terrain, the scenery and test we'll put in front of you. Yes. If you have never run any cross-country before, our race is almost 50% off-road, enough for you to test the water but not too much so that you'll feel out of your depth. NB: There are no rivers to cross so if you find yourself up to your waist in water, you've probably taken a wrong turning. Puddles on the other hand, I expect we'll have a few here and there. Yes. If you want a friendly, safe race without the pressure to finish and where the everyone is respected for the effort they put in to completing the course, give us a try.